|| December 06: 2018 || ά. | ά. The Humanion started The Humanity of the Year 2016 year, which was announced on December 08. Last year, we decided to coincide the announcement with the Finland’s Centenary Celebrations of its hundred years of independence and there was a reason for this move for that year two Suomalainens jointly featured in the list. This is simply based on The Humanion's Editorial Judgment and Opinion after following the year. No one is consulted about this nor the person:s themselves informed of their becoming declared as such. They will know, as The Humanion Readers, that they have been declared as such. This is The Humanion's effort, initiative to make a 'Statement' to say and show that power, market, money, wealth, manipulation and propaganda can not dictate, define and impose what is to be celebrated or what is good. This year The Humanion has decided to promote groups of humanity, who have faced and continue do so, enormous threat and suffering to their peaceful existence and the world simply looks away, abandoning these peoples from across the earth. The Humanion Humanity of the Year 2018 are: a: The Failed Children of Humanity: The Failed Children of Yemen; b: The Forgotten Humanity of Ukrainian People Trapped in a War; c: The Uyghurs Humanity in China; d: The Humanity of the Christians in Egypt and the Christians in Pakistan; e: Poverty-Devastated Humanity in the UK Sustaining A Desperate Life on the Food Banks; f: Poverty and Homelessness Devastated Families and Children on Unacceptable Bed and Breakfast Accommodation in the UK Wasting Away; g: The Humanity of the Hundreds of Rough Sleepers Who Died on UK Street Last Year; h: The Thousands of Homeless Humanity in the UK are Still Living on the Street Rough Sleeping: i: The Poverty-Devastated Humanity of the Women and Girls of the UK Who Go Through the Ignominy of Being Unable to Buy and Use Sanitary Necessities. The Poverty-Devastated Humanity of the Women and Girls of the UK Who Go Through the Ignominy of Being Unable to Buy and Use Sanitary Necessities.:::ω. || December 06: 2016: London: England: United Kingdom || ά. The Humanion started The Humanity of the Year Since last year, in which it was announced on December 08. 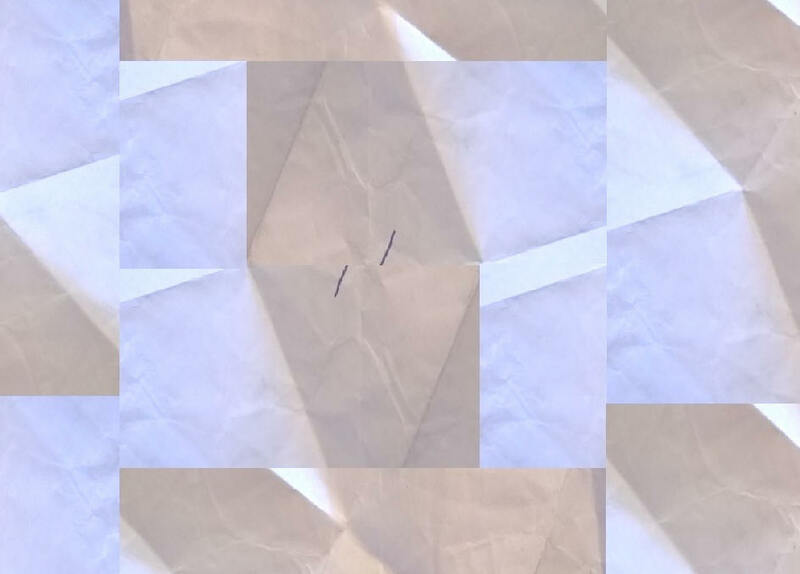 This year, we decided to coincide the announcement with the Finland’s Centenary Celebrations of its hundred years of independence and there is a reason for this move for this year two Suomalainens jointly featured in the list. This is simply based on The Humanion's Editorial Judgment and Opinion after following the year. No one is consulted about this nor the person:s themselves informed of their becoming declared as such. They will know as The Humanion Readers that they have been declared as such. This is The Humanion's effort, initiative to make a 'Statement' to say and show that power, market, money, wealth, manipulation and propaganda can not dictate, define and impose what is to be celebrated or what is good. 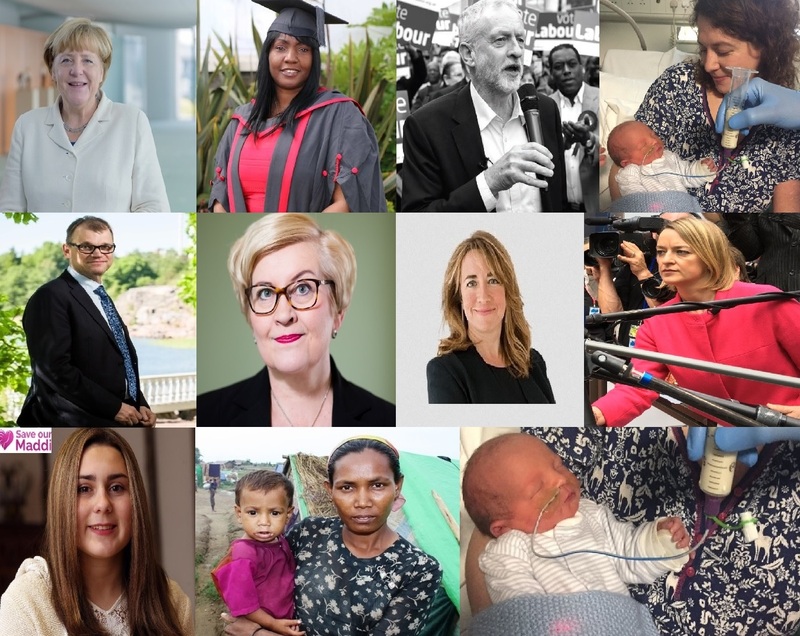 The Humanion Humanity of the Year 2017 are, the numbering does not reflect any order of preference and done alphabetically, 01: Ms Angela Merkel, featured last year as well, 02: Ms Elaine Philips, 03: Mr Jeremy Corbyn, featured last year as well, 04: Mr Juha Sipilä and Ms Anu Vehviläinen, jointly featured, 05: Ms Katharine Viner, 06: Ms Laura Kuenssberg, 07: Master Little Tobi and His Mother, 08: Ms Maddi Thurgood and Her Mother and 09: The Rohingya People: The Violated Humanity. 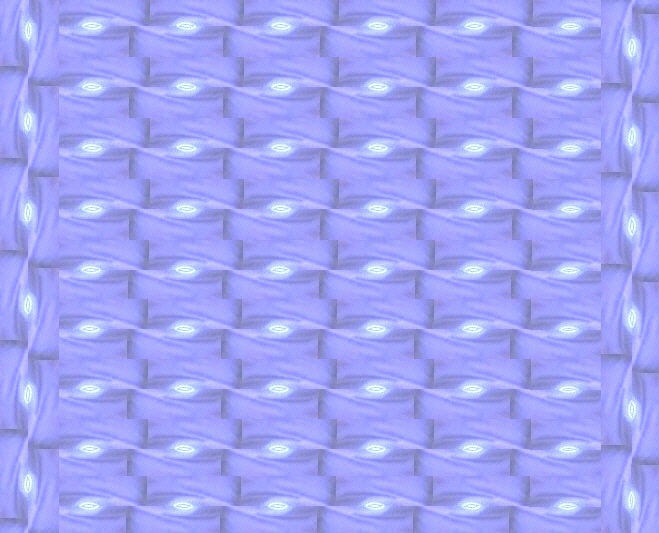 In these nine there are many human beings, persons and people, who stand out as beacons of light for our ceaseless efforts to strive and stride to advance the human condition and, thus, create an island of candle lights of inspiration made of hope, faith, humanity, compassion, goodness and belief that better is not only possible but achievable . Here are persons and people, human beings, remarkable for their services to humanity, in their relevant field and arena of work and, who have shown courage, strength, determination, resolute conviction and faith in seeking to rise to the challenge without losing any ground in relation to their faith, belief and choice in goodness that is the essence of what humanity is about and in doing the good, in seeking to do good, they seek to do, despite and regardless of the adversity they face, the criticism, the attacks and vilifications, the sustained and continuous abuses thrown on their paths, to most of them and the barriers and obstacles they needed to overcome, they have shown the undefeatable human spirit, essence, steel so that these all stand out as beacons to the world: to encourage, to inspire, to empower, to connect and to bring together that what humanity is; without goodness that does not exist and without it there is no humanity for than we are only physiology of nothing but biology. In the Editorial Judgment and Opinion of The Humanion the following persons have done their absolute utmost to do the highest possible good to this world and to humanity, including, of course, their own nations and in doing so they have defined what spirit, what element, what steel, what humanity has made, shaped and constructed them that make them what they are and they stand against all adversity and make a stand: committed, determined, resolute and absolutely focused in their faith in goodness and in their conviction that humanity's synonym is goodness. The Humanion celebrates that and invites everyone to celebrate that that are expressed in shining light...May they continue to serve their own countries, nations and humanity long many years and years to come....And let the world know that the world, despite all the darkness and evils, that humanity has to deal with, fight and, often, forced to endure, is not all there is to the world, to humanity and to this human existence and life, that there are astonishing array of human beings, persons and people and peoples, agencies and bodies spread across the globe, ceaselessly seeking to advance the human condition with their tireless, committed, determined and ceaseless works for common good. || September 24: 2017 || ά. No one can, consulting world politics, find many instances, where in a democracy, a leader or party, seeking re-election for the fourth term, achieving the higher margins of votes. It is not humanly possible for whatever that leader or party does in government to achieve increased number of votes at an election, seeking for a fourth term. Yet, that was what precisely Ms Angela Merkel was seeking to do. And despite all the media uproar about the rising, albeit, in different guise and name, Hitler's ghost, one must keep things in perspective. 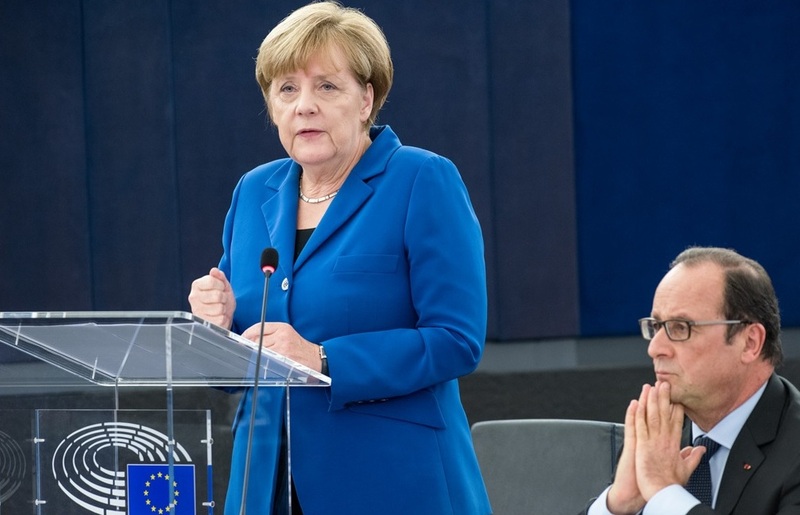 The fact is this that Ms Merkel has won a fourth term, particularly, after her courageous leadership, in which she had stood firm, resolute and absolutely committed to respond to the refugee crisis with humanity, compassion and empathy and, like a Prometheus Being a Woman, she had stood firm, resolute and unshakeable in the face of the 'outcry' and because of that the European and world media and the populism-band-wagon, went mad, on which these new ghosts of Hitler, got on board and screamed on, seeking to fuel phobias and hatred of all kinds, against almost all types, groups and classes of people other than those, they consider the 'true blue blood Germans'. And the German majority has stood with Ms Merkel and they showed where they stood at this election. At the News at Ten the BBC news reported a leader of this Hitler's ghost-force, who reportedly said, ''We will hunt them down; we will hunt Angela Merkel down.'' This is all Germany must hear. This is what these forces are like. But at this election the majority of the Germans have voted to reject this violent, ruthless, vicious and merciless force, that still speaks like Hitler: 'hunt down'. This is the 'nazi-phrase'. They want to hunt anyone and everyone, that they did not want to exist. This is nazism. And the modern Germany and the modern German nation have voted to reject that and sided to stand for democracy and rule of law, where, despite their threat of violence and xenophobia, no one on the democratic side, speaks of 'hunting' anyone down. The fact is this: Hitler did some paintings before he had entered the path, that had brought destruction and evils to the world; those paintings were not destroyed by anyone and they survived and were sold in some auction few years ago. This is what happens when democracy rules the world. On the other hand, for the sake of argument, if Hitler had won the war and subjugated the world, he would have, it can be almost a hypothetical guarantee, burnt down the entire world and human heritage of arts and cultural effects. This is what Hitlers, even their ghosts, do. They hunt, they burn and they terminate all, that they do not like, and all, that stand in their way. Germany and the modern German nation have closed that gap. Germany has closed that door forever. There is no 'hunt down', there is no 'termination', there is no supremacy of anything and anyone but the people having 'the power' and that people must exercise that 'power' through democratic means and through the exercise of rightful, valid and legitimate mechanism of, what is called, the rule of law. This election should show the world that 'the modern German nation', that has been emerging, soul-searching, debating, discussing, discoursing and reshaping the national psyche since the end of Hitler, has reached a state of 'maturity' as a nation and is no longer going to be defined by what Germany was 'forced' to do by the Nazis and by the entire Hitler apparatus so that it all had wedged a tectonic breach between the pre-war Germany and post-Hitler Germany. 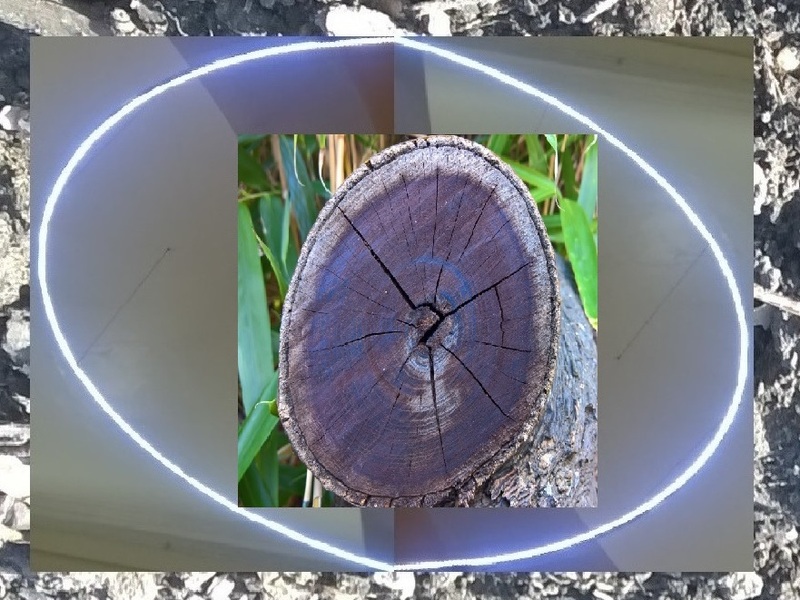 This modern Germany has sought to bridge this 'tectonic breach' by simply closing the gap so that the entire 'gap' is eased into the earth, in which was buried 'the episode' of the nazis and Hitler. And from there Germany and the modern German nation have emerged in this mature state where, those, who were hanging on whatever remnants were hanging in that 'gap' and when the 'gap' got closed, they ran to find whatever else there was left on the new earth and from there, they will try to begin again. And they have begun; except they will not find much feeding them because now they are living among the members of that mature German nation. And no longer, for the majority of this German nation, Germany can be described as Pre and Post Hitler. It is modern Germany, today's Germany and it is a country and people: forward looking and future-visioning with much to offer to Europe, to the world and to world humanity. This modern, mature German nation has shown itself in this election. And this is, probably, going to be the lasting legacy for this century, that will continue to bear Ms Angela Merkel's name. Goodness me, this is no mean feat of a legacy for a political world leader in today's cynical world. Not many world leaders could ever come anywhere close to where Ms Merkel stands with this legacy. The Humanion congratulates Ms Merkel and her party and the German people, majority of whom voted for this vision of this modern and mature nation of Germany: a nation at home and in ease with itself, that is willing, determined and committed to be part of the very humanity and the very world, this very Europe and the very future of Europe, in which it has and should take a leading role: lead in science, in mathematics, in engineering, in design and technology, in trade, business and commerce, in innovation and ingenuity, in human space exploration, in medicine, in arts, culture, architecture, literature, music and, not excluding, sociology, political economics, philosophy, political philosophy, poetry and many other expressions of all human creativity. Those, outside Germany, who think of Germany simply, in terms of the 'lowest of the low of human physiology' Hitler, that was what he was, is and will forever remain so, but, he will remain so in the dustbin of history alone, will be utterly 'tunnel visioned. This election and election results should focus the world to that Germany, that is at a mature state as a country, as a nation and as a people and this country and this nation have much, much, much to give to the world and to humanity. However, the work is not done; not yet: Ms Angela Merkel's work is not done but has barely begun. The work of the the German Democratic, Social Democratic, Secular, Progressive, Green and Humanist Forces is not done; it has just begun with this election. It is time they must take this as their final wake up call to rise and unite to fight and send the ghost of Hitler back into the dustbin of history. This means that the issues, the divergence between the former east and west must be taken with urgency, force and diligence, as well as, bringing together Germany more closer, particularly, as a unified identity, than the currently very loose federal-state situation and communities of people in these geographies are brought more together and connected from all regions. It is time to create a cultural revolution, connecting, joining, uniting and empowering people together: a unison social, cultural and creative endeavour of inclusion and integration. 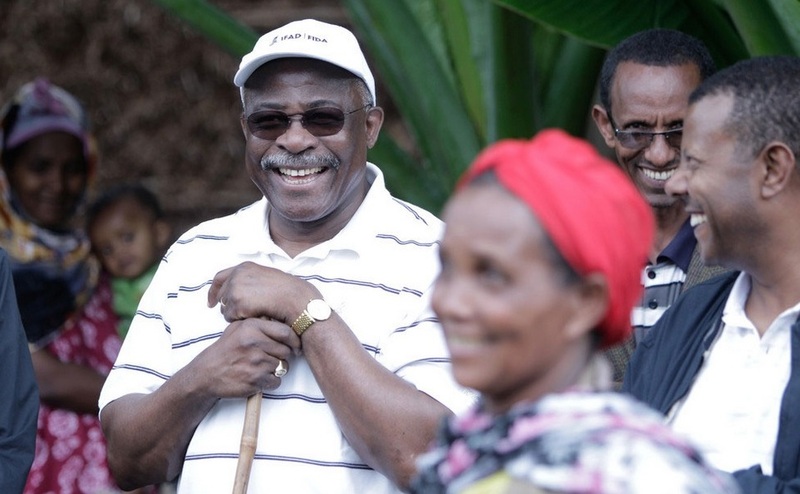 Further, the most vital of all political urgency is the task of taking on expanding social justice: politically, economically, socially, culturally and communally, aiming, aspiring and seeking to empower and redistribute 'power' as empowerment to: the individuals, to the persons, to families, to communities and, therefore, to civic society. The Humanion invites Ms Merkel, her party and party colleagues and all other political forces mentioned, to use this fourth term, be defined by these 'left to be done jobs' and only this way, no one needs to ''hunt' Hitlers ghosts'; they will vanish for take the oxygen and water out and life can not exist. Take all that political, economical, social and cultural evils, that make up that oxygen and water for the Hitlers ghosts and they will simply have to accept defeat and vanish 'politically'. This is the revolution you can not but take on, must take on and shall seek and strive to begin, conduct and bring about across Germany during the forth coming four-year 'Angela Merkel Epoch'. This is what The Humanion challenges Ms Angela Merkel to rise to do: to work ever so vigorously than ever before, to deliver an Angela Merkel Epoch for Germany in the next four-years. ω. || July 15: 2017: University of South Wales News || ά. Inspirational student Ms Elaine Phillips graduated this week from the University of South Wales with top marks, despite being diagnosed with dyslexia and a life-changing brain condition. 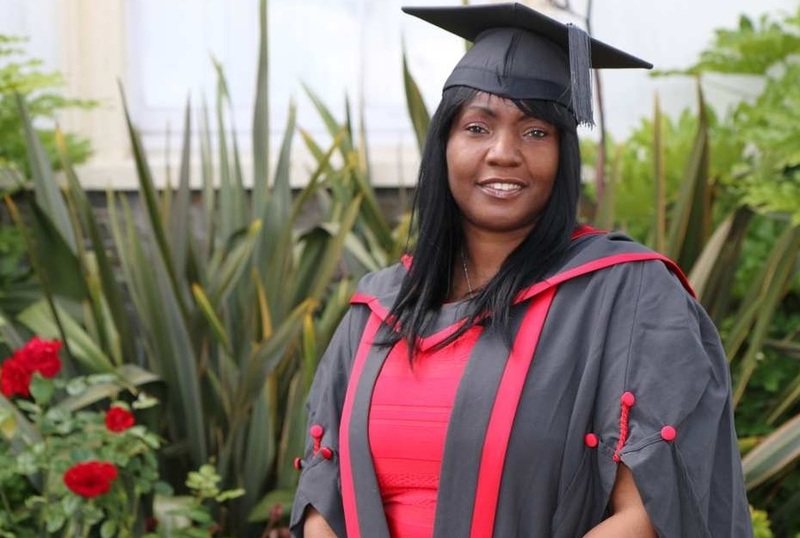 Ms Phillips, 53, from Whitchurch, Cardiff, has succeeded in gaining a first class honours in BSc Hons in Health and Social Care Management, even though, she suffered from debilitating symptoms for the majority of her studies. Ms Phillips worked in a care home for 28 years, but after she was made redundant when she was 46, made the decision to go back into education. 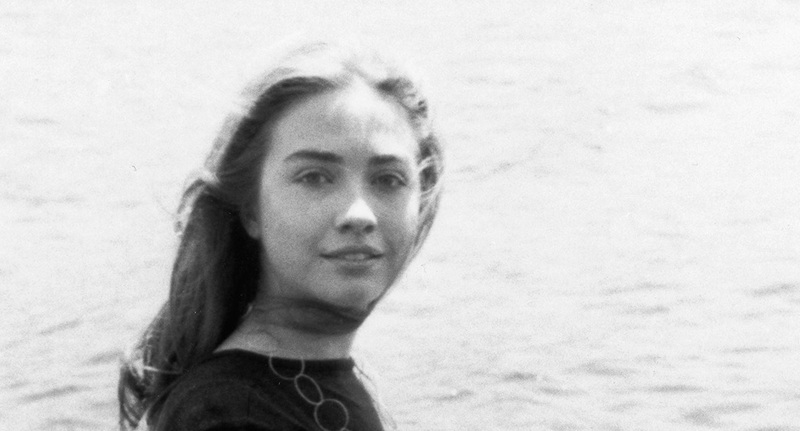 “When I left school at 16, I couldn’t read or write. Whilst I worked at the care home I taught myself, with some help from colleagues and worked my way up to Care Officer.” she said. 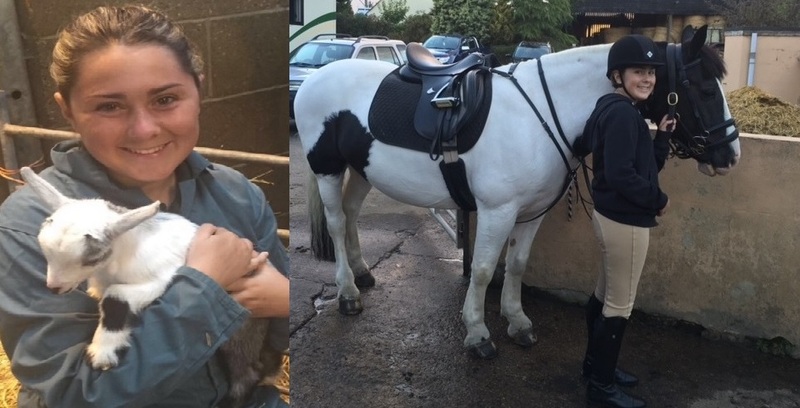 “When the home closed, I studied a ‘Return to Learn’ course at Coleg Glan Afan, now, Cardiff and Vale College, then a level-two applied science course, followed by a two-year Access course. I was there for four years. Whilst at college I was diagnosed with dyslexia, which was re-assessed when I came to university. During the second year of her degree, she started to suffer unbearable headaches, nausea and dizziness. When these dramatically worsened, she was sent for an emergency brain scan and finally diagnosed with Chiari Malformation, a condition where the lower part of the brain pushes down into the spinal canal. Since then, Ms Phillips has suffered with slurred speech, severe pain, difficulty walking and a complete lack of energy. “While this was going on, I had two modules to finish but I was determined not to defer my studies, I wanted to graduate this year. It meant that I was able to work for one day, then I would have to rest for three days.” she said. She feels passionately that no-one should be deterred from further education because of a disability or learning difficulty. Ms Madhulata Patel, Course Leader and Senior Lecturer at the University, said, “Elaine is a truly inspirational student because she had so many challenges, but she dealt with them with a gritted determination to achieve both academically and professionally. She is a great role model for other students, who think they will not succeed. She is absolute proof that, if you want something badly enough, you can get there.” ω. Protecting pensioners incomes with the triple lock and guaranteeing winter fuel payments, Providing an extra £37 billion for the NHS and £08 billion for social care, Raising the minimum wage to £10 an hour, ending the public sector pay cap and bringing in workers’ rights from day one of any job, Scrapping university tuition fees and bringing back education maintenance grants, Cutting class sizes in schools and bringing in free school meals for all primary school children, Building a million new homes, Bringing rail, water, parts of the energy system and post back into public ownership to cut bills and improve in services. 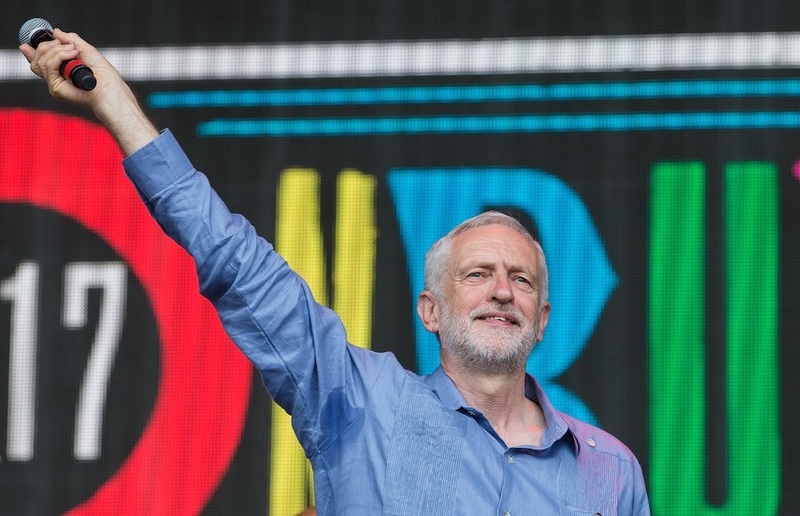 ommenting on Labour’s last day of campaigning, Mr Jeremy Corbyn, the Leader of the Labour Party, said, “I am incredibly proud of Labour’s manifesto to transform Britain for the many not the few. On the last day before people go to the polls, we will be campaigning in towns and cities across England, Scotland and Wales with our message that change can come. Our campaign has been about the kind of country we want to live in, one in which the wealth creators, that means all of us, share in that wealth and everyone has the opportunity to succeed. Tomorrow, the British people will be able to vote for a government that will put an end to the rigged system that benefits the super-rich. Every vote for Labour will be a vote to put power, wealth and opportunity back in the hands of the many, not the few. Speaking at Glasgow Central, Mr Corbyn will say, Older people have given us so much but they are being held back by a Conservative government that is refusing to protect their incomes through the pensions triple lock, is taking away the winter fuel allowance from millions of pensioners and demanding people pay for social care with their homes. Speaking at Weaver Vale, he will say, Our NHS is the nation’s pride and joy, and our greatest achievement but it is under threat from underfunding and privatisation after seven years of the Conservatives. We can’t afford another five years of the Tories. The election on Thursday is an opportunity to say enough is enough. We have had enough of our NHS being undermined, we’ve had enough of NHS services being sold off for profit, and we’ve had enough of our brilliant NHS staff being treated with contempt. 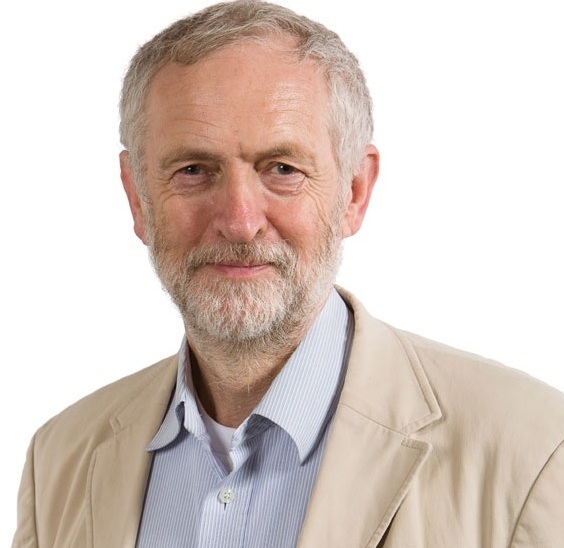 Speaking at Harrow East, he Mr Corbyn will say, “No child should go hungry at school. 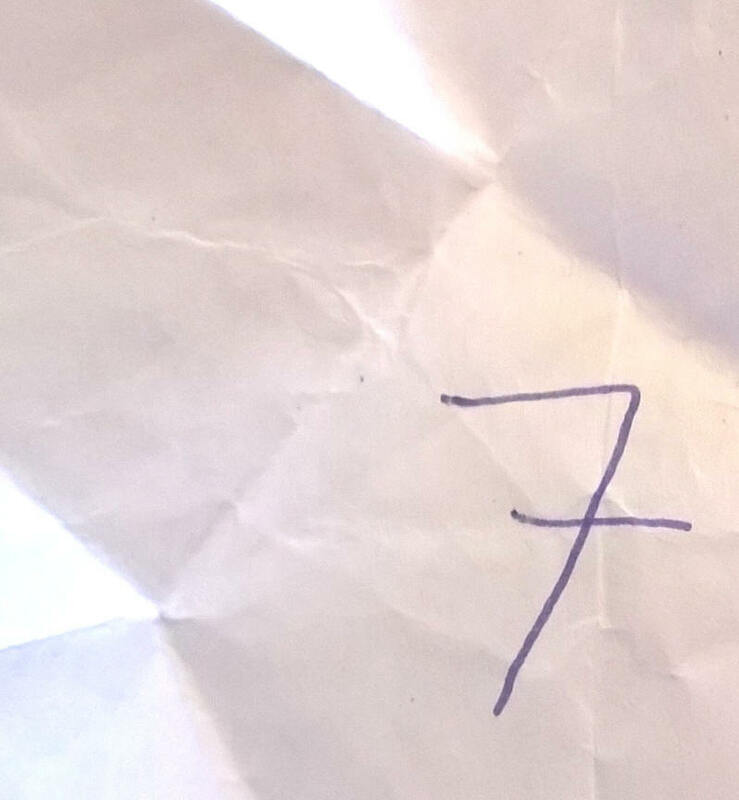 The Conservatives are ending universal free school meals for five, six and seven-year-olds and giving them a breakfast that costs 06.8p, that’s barely a thimble of cornflakes. By charging VAT on private schools fees, Labour will make sure all primary school children get a healthy meal at school. 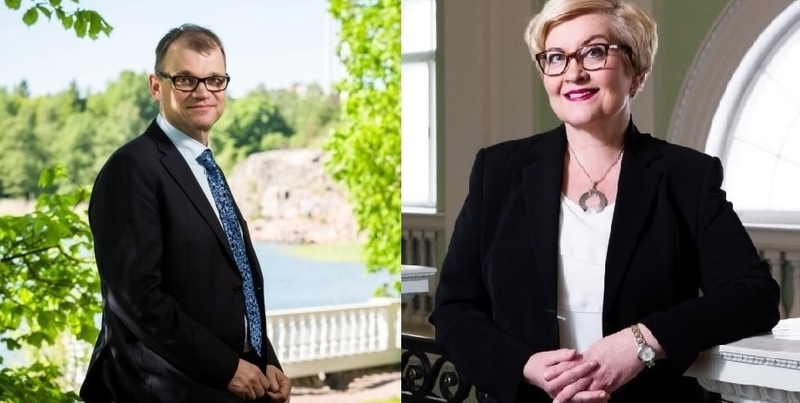 We will build a society for the many not the few, starting with our children eating a healthy free lunch together.” ω.
Mr Juha Sipilä and Ms Anu Vehviläinen, Prime Minister of Finland and Minister of Local Government and Public Reforms respectively. Finland is physically not a very small country but is home to a nation made of not by as large a number as many other nations are and, yet, over the last one hundred years the country and its people have built up a place, they call home, which has become a force for good in the world and ranking high up in many areas of life among the assembly of nations, the latest of which was The Legatum Prosperity Index 2017 in which it has become number three. This is a testament of their astonishing achievement for among the top ten there is no place for China or India or Brazil or Russia or the United States of America, some of the most populous nations of the world. And in the recent years, under the leadership of Mr Juha Sipilä and Mr Anu Vehviläinen and their colleagues their Government has orientated Finland towards a vision of a people, nation and country that is outward-looking, future-bound, ingenuity and innovation-grounded and world-orientated so that there is hardly any place Finland has not reached. From China to India, from Peru to Colombia, from Namibia to Baangladesh, from Hong Kong to South Africa, from the United States of America to Saudi Arabia, from Poland to the United Kingdom, from Estonia to Russia Finland and Finnish businesses and agencies are working in unison to advance their arrival in the world stage as a people of peace, ingenuity and humanity. These humanity of the North have never failed to aspire to be the Athens of the Northern Shores and the Northern wonders of life. 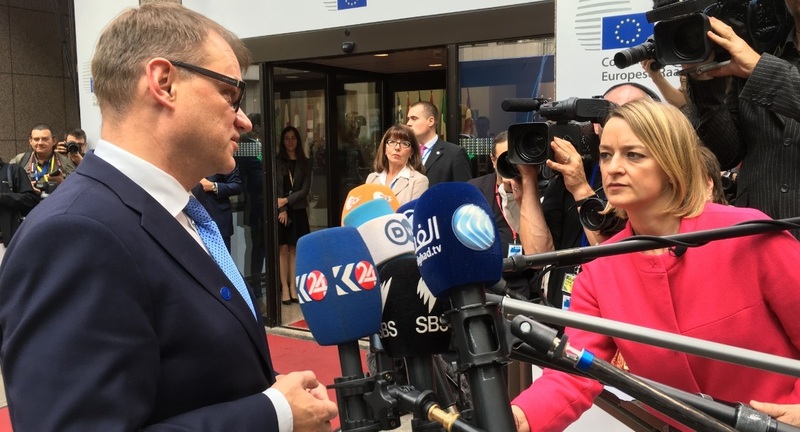 This year, as they celebrate their centenary as an independent and sovereign people, nation, state and country, the Mr Juha Sipilä and Mr Anu Vehviläinen Government has been fortunate to stand in the leadership and lead on the celebrations of their nation and they have done well. Finland stands in the world with the Suomi people or Finnish people with their heads, minds and souls standing tall and high and they should celebrate the establishment of The Kalevalan People among the Assembly of the Humanion of this world. The centenary of Finland’s independence culminates on Finland’s Independence Day, December 06, today. The story of the 100-year-old land of the Suomi People, on the land of Suomi or Finland is an extraordinary one, that rests on the values cherished by the Suomi People, who are called, in their own language, Suomi, Suomalainen or that has been translated in English as Finns or Finnish: democracy, education, equality and freedom of speech. The climax of the centenary will be a joint effort and the programme will be rich and memorable. The celebrations will take place throughout Finland, as well as, in more than 100 countries on all the continents. Further, under their leadership Finland has solidified, strengthened her position and directed herself to an absolute commitment to tackle climate change and made enormous contributions to the build up and reaching of the Paris Climate Change Accord and translated all that into genuine, practical and visionary policy-frame-works and set about transforming the economy into a clean, green, sustainable one where renewables and all other relevant green technologies are being developed and the economy is being transformed from a fossil-fuel based one into a sustainable circular one. And in this the development and drive, that Finland has put in pushing forward with the fast-paced development of the bio and circular economy and, particularly, the sustainable and circular use of the natural resources, including, earth, water and forests, as well as waste-products. In short, in whatever avenues there opened to go forward Finland has placed herself on every one of these opened up avenues so that all these will take her farther and farther. And in this process there opened a culture and mind-frame of a all-shifting paradigm, that we can do anything, if we wanted to commit ourselves to achieving that. Suomen Tasavalta is the Suomi name of the Republic of Finland and the country became an independent state on December 06, 1917. The newly born state was willed into being by the Suomi people after a long struggle of independence. For a hundred years the Suomalainens or Finns have been engaged in the building of their country and making decisions together. The unbroken period of a century of democracy is exceptional and Finland has often reached top positions in different international rankings in many areas of life. Suomen Tasavalta or the Republic of Finland and her people have proved that a nation is only limited by its imaginations and aspirations: they are as big or as small as their imaginations and aspirations for Finland houses a, physically, very small nation but the country and the people of The Kalevala have proven to the world in this one hundred years of progressive development and march past that Finland and the Suomi people are no small nation but a but a giant one in terms how high, how far and how wide in their vision and aspirations they aim and strive to reach towards and how deeply future-bracing and how visionary a people they are. This sets them up for a good road towards many a century ahead progressing towards richer and farther heights and farther fields, areas and arenas of life in this World and Universe. The Winter War cost them much but let them found their 'Sisu', that they realised already had been planted and presented to them by a Dr Elias Lonrot in the form of their national Epic The Kalevala and they saw how that opened up magical springs and openings for composers, poets, artists, playwrights, literary figures, thinkers, sociologists, philosophers, cultural minds, singers and actors, scientists and innovators and so on to feast on and opened a renaissance in the Athens of the North and along the way they found their Kantele and realised that they had already got a magic-vessel built for them in The Kalevala, called, The Sampo and all that they had to do was to believe in that magic and just make a go. And hearing the Sibelian Symphonies they went along creating, making and shaping things. They gave the world Eemil Sillaanpa, Johan Gadolin, Erik Willebrand, Madetoja, the Saarinens, Larin Paraske for there is no parallel, in humanity, that can be found to match her epic mind and abilities, Minna Caanth, Aleksis Kiivi, artists like Gallen and Edelfelt, visionary scientific minds, such as, Verner Suomi and the names can go on without, even, reaching anywhere closer to the present. 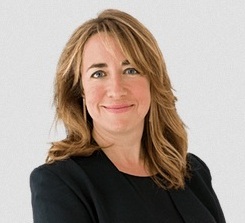 Ms Katharine Viner is the Editor in Chief of The Guardian: The Observer Group. Since she took hold of the reign of The Guardian Group, she found herself taking on the reality that the long-standing and much admired institution facing existential challenges on many levels, dimensions and areas, that simply could not be left 'not taken and not tackled' for the very survival and viability of the institution was in question. 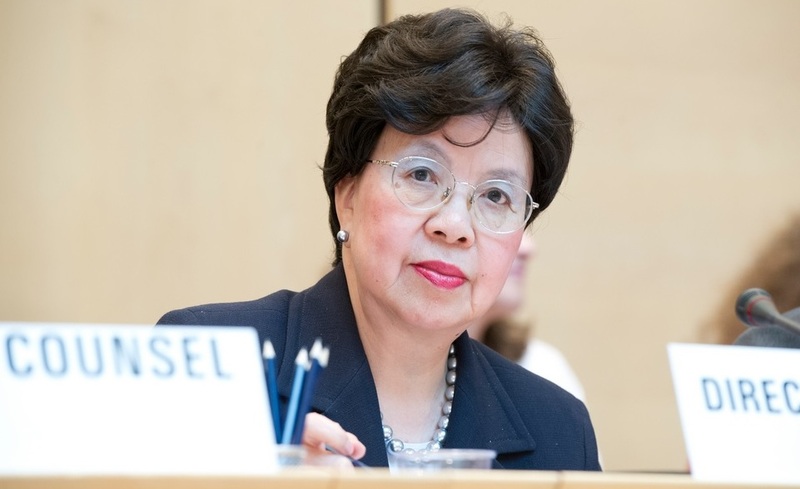 With her absolute commitment, sheer determination, unwavering resolve and deeply-held positive faith, pragmatic attitude and can-do-approach, exemplary leadership, where leadership is an act of inspiring to a positive vision and, most of all, her humanistic character, integrity and world-view, that hold all other qualities, traits and features of her humanity together, Ms Viner went on, taking the human part of the Guardian Group, the most vital of all components of any agency, with her and initiated the 'fight back'. For the editors and all the pen-pushers of the world, their 'work' is the best language for humanity: what we do is enough of a speech. If there is light regardless of how dark it is everyone can and will see that light. And Ms Viner's work has shown what can be done and achieved with all, that we described in Ms Viner, invested in seeking to achieve the goals. And this is not the easiest of jobs! But she has proven that she is and she does have the most strong of steel to bend all to the indomitable human will. What has not been thrown at her, BBC's Political Editor, Ms Laura Kuenssberg: vicious, brutal and merciless abuse in wherever these can be expressed and directed at her. But that verbal abuse, harassment, intimidation and attacks did not just remain there, they became violent and aggressive to the point of threats to her life so much so that now she has to work with an allocated 'bodyguard' and one can not but wonder as to where we have reached, after all that 'so-called' progress we are supposed to have been making. Dehumanisation has taken its aim and seeking to attack and dismantle the very fabric of society and what is called a civic society, to afford civility, common human decency and respect for others. And, all, that has been directed at Ms Kuenssberg have been directed to many, many women, who are, like her, in professions, that make them 'public figures' and, thus, open them to those, who want to attack, harass, abuse, intimidate and threaten, not just verbally but with violent death threats etc. And all that is simply because they are women. Where have we come to: that one is forced to accept that if one is a woman she must accept that being attacked, abused, harassed, intimidated and threatened as 'normal'? What kind of a society is this? And, yet, in this society not everyone is out there seeking to abuse women, who are working and doing their jobs to advance the human condition as anyone else. Ms Laura Kuenssberg has found herself at the receiving end of all that, which no woman should have to take. No one should 'pay a price' because they are women in order to work in society and make their contributions to its advancement and progress. There are not as many as there should be, but there are still many brilliant, talented and committed female public figures in public life in the UK and to varying degrees all of whom face the same misogynistic abuse and harassment everyday. This must stop. This is not only unacceptable for a democratic culture and society but, also, is terribly harmful to the very concept of democracy and democratic space. But Ms Kuenssberg has not only refused to just take it and accept it, but, also, kept on her fight to assert her right to be here, to work as she wants to do without taking anyone's approval or permission or threat or abuse or harassment or intimidation. In this, life has been made a most unpleasant experience, to say the least, simply because in society there exist people, who simply live by masochism and misogyny directs them as to how low they would fall and this is getting towards the very bottom. Yet, Ms Kuenssberg, kept her wit, her steel, her character, her integrity and her humanity as she resolutely stood her ground and kept at it and kept seeking to bring the very best, that she is and she can be out into her work, her profession, her career. 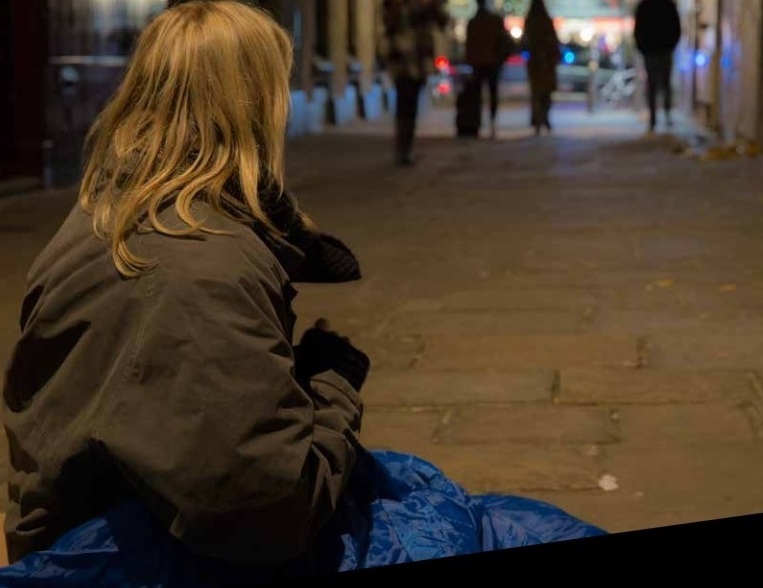 But, stopping for a moment, to empathise the state of this human being, this human soul, this woman, imagine, waking up, getting ready to go work and realise you can not do that! You will have to have a bodyguard with you to keep you safe! And would you not think that we live in a ferocious jungle? This is the kind of misogyny, that has been seeking to dictate the social sphere and trying to strangle our democratic space and culture! Must we all wake up and take a stand so that no woman should face this monstrosity. Against all that, Ms Laura Kuenssberg, stands with her humanity, her strength, courage and conviction and she never falters to be exactly that, what she is and who she is: someone and something, that shall not be bent to redirect herself to anywhere and to anything, that she has not decided on her own free will. || January 23: 2017: University of Sheffield News || ά. A ground breaking prototype ‘miniature’ MRI scanner for babies has been installed at The Jessop Wing Maternity Hospital in Sheffield. 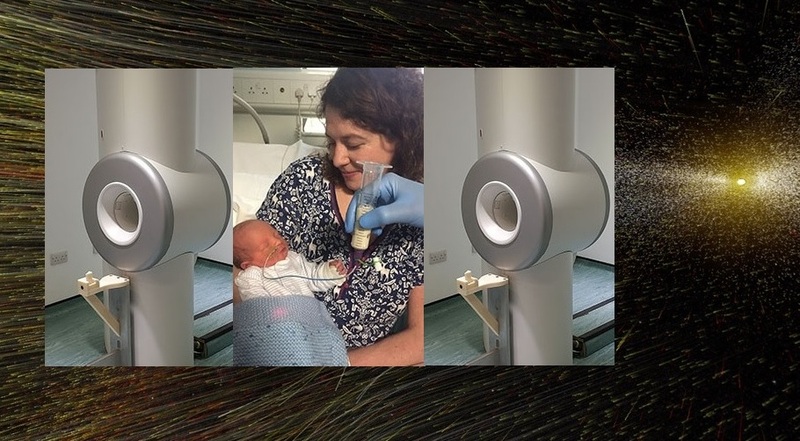 The scanner, which is one of only two in the world, is part of a two-year research project into the feasibility and benefits of scanning babies in the neonatal unit. Paul Griffiths, Professor of Radiology at the University of Sheffield and Honorary Consultant at Sheffield Teaching Hospitals NHS Foundation Trust and Martyn Paley, Professor of BioMedical Imaging, also, at the University of Sheffield, have been working on the concept and design of the scanner for 12 years. The scanner is considerably smaller than a standard MRI scanner, meaning it can be situated within or close to a neonatal unit that would allow new-born babies to be scanned without having to be moved to another part of a building or even another hospital. This means scans can be performed more quickly and the risks and difficulties associated with moving vulnerable babies are dramatically reduced. The MRI images provide more detailed clinical information than a bedside ultrasound scan. Susie Thoms’ son Toby benefitted from the use of the scanner, as part of the research study, after being born six weeks premature by caesarean section and spending a week in neonatal intensive care. Susie from Sheffield, said, “Not having to leave the department was a massive advantage, because having to transfer elsewhere at what is already a difficult time, would be a lot of extra stress for Toby, myself and the teams involved. You can get so much information from the MR images and see incredible detail. Toby coped with the scan really well and the care he received was absolutely brilliant on the Neonatal Intensive Care Unit and Special Care Baby Unit. I didn't have any hesitation about taking part as I think doing this research, and possibly benefitting other parents and babies in the future, is very important. Toby is now back home, his feeding tube has recently been removed and he is doing really well." Professor Griffiths, from the University of Sheffield’s Department of Infection, Immunity and Cardiovascular Disease, said, “Babies, particularly those with brain problems, are unstable, they can stop breathing or their blood pressure can change in an unpredictable way. If that happens it is useful to have neonatal staff who are used to that situation in such close proximity, which will improve safety. The project is a collaboration between the University of Sheffield, Sheffield Teaching Hospitals NHS Foundation Trust, GE Healthcare and the Wellcome Trust. If the research is a success and the quality of the images, data and clinical benefits are proven, it is hoped the scanner will be granted the relevant approvals to enable it to be used on a routine clinical basis in years to come. The University of Sheffield: With almost 27,000 of the brightest students from over 140 countries, learning alongside over 1,200 of the best academics from across the globe, the University of Sheffield is one of the world’s leading universities. A member of the UK’s prestigious Russell Group of leading research-led institutions, Sheffield offers world-class teaching and research excellence across a wide range of disciplines. Unified by the power of discovery and understanding, staff and students at the university are committed to finding new ways to transform the world we live in. Sheffield is the only university to feature in The Sunday Times 100 Best Not-For-Profit Organisations to Work For 2016 and was voted number one university in the UK for Student Satisfaction by Times Higher Education in 2014. In the last decade it has won four Queen’s Anniversary Prizes in recognition of the outstanding contribution to the United Kingdom’s intellectual, economic, cultural and social life. Sheffield has six Nobel Prize winners among former staff and students and its alumni go on to hold positions of great responsibility and influence all over the world, making significant contributions in their chosen fields. Global research partners and clients include Boeing, Rolls-Royce, Unilever, AstraZeneca, Glaxo SmithKline, Siemens and Airbus, as well as many UK and overseas government agencies and charitable foundations. Sheffield Teaching Hospitals NHS Foundation Trust: Sheffield Teaching Hospitals is one of the UK’s largest NHS Foundation Trusts and one of the largest and busiest teaching hospitals. We have over 16,000 staff caring for over a million patients each year at our five hospitals and in the local community: The Royal Hallamshire Hospital; The Northern General Hospital; Charles Clifford Dental Hospital; Weston Park Cancer Hospital; Jessop Wing Maternity Hospital. We offer a full range of local hospital and community health services for people in Sheffield as well as specialist hospital services to patients from further afield in our many specialist centres. The Trust is recognised internationally for its work in neurosciences, spinal injuries, renal, cancer, transplantation, neurosciences and orthopaedics. Thanks to the hard work and commitment of our staff and volunteers, Sheffield Teaching Hospitals NHS Foundation Trust has been given an overall rating of ‘Good’ by the Care Quality Commission:CQC with many services rated as ‘Outstanding'. This means the Trust is one of only 18, out of 174 Trusts, to have achieved a Good rating in every one of the five domains which the Care Quality Commission use to rate a NHS organisation: Safe; Caring; Responsive; Well led; Effective. We are proud to be one of the top 20% of NHS Trusts for patient satisfaction and to have consistently high numbers of our staff and patients who would recommend the Trust for care and as a place to work. The Trust is a recognised leader in medical research for bone, cardiac, neurosciences and long term conditions such as diabetes and lung disease. We also play a key role in the training and education of medical, nursing and dental students with our academic partners, including the University of Sheffield and Sheffield Hallam. The Trust is a recognised leader in healthcare innovation and is host to a number of national projects including the Perfect Patient Pathway Test Bed, Devices for Dignity, Yorkshire and Humber Genomics Medicine Centre as well as being a partner in the Working Together Vanguard and National Centre for Sports and Exercise Medicine. ω. || October 24: 2017|| ά. This is the Story of Maddi Thurgood, that The Humanion first published on September 06, 2017. Here, we republish it as Maddi's Mother and Family are still well short of the £224,000, that they must raise for the Sheffield Institute of Translational Neuroscience Research Team, who must have this fund in order to conduct vital research to find a gene therapy to help Maddi! The Humanion is publishing this, as The Humanion Maddi Christmas Appeal 2017, the first ever appeal we have ever done, in Political Economics in the hope that all those involved in our cities and financial and business houses and places, everyone, every Reader, for The Humanion has readers across the globe, from multi-trillion dollar companies to multimillion, from Ford to Toyota to Nationwide Building Society to start with, will do everything in their power to find a way to help. What we are appealing is that you all look into your charitable donation budgets and locate the tiny, tiny some of money, just £100,000, this little girl requires. The Humanion will not cease until this money is raised. Please, tell any soul, every soul to lend a hand to Ms Carina Thurgood, Maddi's mother to raise the money to foster hope for her child to get better. They are almost half way there: please, look into your charitable budget and help as much as you can. Here is for Maddi, a mother's child, a father's child, a human family's child. Help her get well. Tell her and her mother and family that we are here. Our Readers are aware that The Humanion is not a business and we do not do money so that this Maddi Appeal is seeking to support Maddi's Mother's fundraising effort to which The Humanion is urging everyone to donate directly, as much as, they can. The Humanion is determined to generate enough support for this fund raising effort of a desperate mother. You, may donate directly to Go Fund Me Save Our Maddi, Fund Raising Campaign. 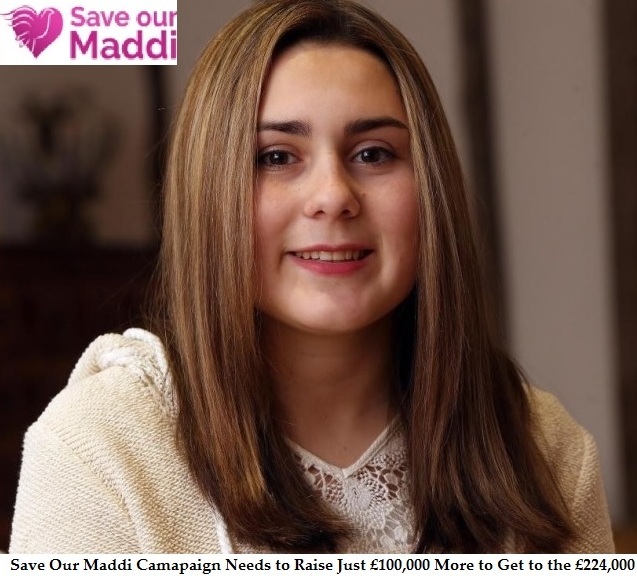 The Humanion Maddi Appeal Will run as Christmas Appeal and will stop as soon as Maddi's Mother's fundraising campaign reaches its target of £224,000. Because Maddi Thurgood is Literally One in the Entire UK-Millions and One of 20 in the Entire World-Billions with This Rarest But Devastating Illness. They Have Raised £124,000 So Far But Must Raise Another £100,000 So That the Research Goes on. Ms Carina Thurgood is a mother on whom destiny has set out a cruel mission and with a heart-wrenching, earth-shattering soul she has risen to take up that cruel mission with infinite love: to find out what most medical professionals have been unable to tell her, how to help her young daughter Maddi Thurgood, who has been diagnosed with one of the world’s rarest diseases: to seek and find a cure for Maddi's condition. Well, it, may, seem all up in the air but nothing can remain up in the air forever: love is enough to rise to the moon and sing about going there, until one day, we do get there and the songs no longer are Rusalka to the Moon. The Humanion has been contacted on behalf of Ms Thurgood's newly set up The Maddi Foundation. As part of Ms Thurgood's determination to seek to find ways, that apparently, do not exist now but soon they will; for the Queen Ferry Bridge, that Queen Elizabeth has opened today, did not exist only a few years ago. Today it does. There was no talk even, of a Mars Mission, if one goes back some years. But there is Mars Mission now and soon there will be human foot falls on Mars like the Moon. Hard: the hardest it is to love and if one does that hardest love, there is nothing one can not rise to reach and achieve. The 'father' of Genetics Gregory Mendel, when he discovered the 'core' of what became known as Genetics, did not even know the word, Genetics and now, think back to realise what Genetics has done to Medicine. And, therefore, this is The Humanion offering all we can to support Ms Carina Thurgood's long road ahead to seek and find ways to help her young child, Maddi, the best fighting chance to fight with the illness with any help new research might be able to get her. 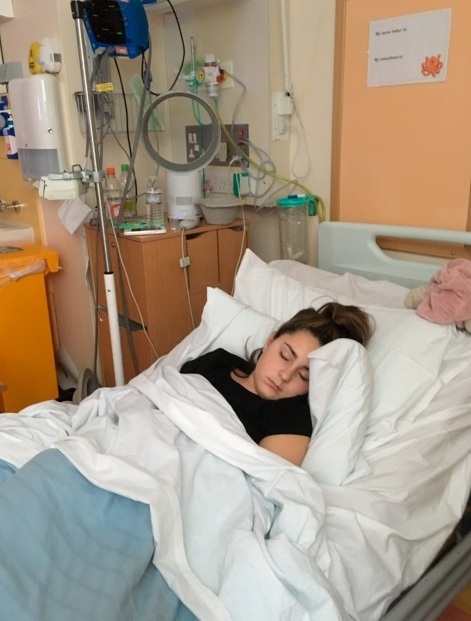 Just two days before her 15th birthday, Maddi Thurgood’s family were called into Great Ormond Street Hospital and given the shattering news that Maddi had Krabbe Disease. However, weeks later it was discovered that she had been misdiagnosed, and actually, she had Spastic Paraplegia Type 15:SPG-15, an extremely rare, complex and progressive disorder, which can lead to physical and intellectual disability, as well as other symptoms. In addition to setting up the Foundation, Ms Carina, has set up a Go Fund Me Save Our Maddi, Fund Raising Campaign for raising the Funds necessary for the Sheffield University to Begin the Research, that will try to find ways and means to try and help Maddi. The Humanion urges all our readers to try and support Ms Carina Thurgood's desperate efforts to find ways to be able to help her daughter Maddi. There is currently no cure for SPG-15 and Maddi’s Professor from Sheffield believes that the consensus of that meeting was that gene therapy offers the greatest potential for helping our children. We have received a gene therapy proposal, which comes with a $02-03 million price tag. Rare disease research isn't cheap. Gene therapy offers the greatest hope of helping to find a cure for Maddi. However, this critical gene therapy research at Sheffield University of Neurosciences:SITRAN, comes with a hefty price tag of £224,000. Maddi’s mother is up against the clock, as this progressive disease has already begun to ravage Maddi’s mobility. Ms Thurgood has today launched The Maddi Foundation, a registered charity to fund Sheffield University’s research to produce a gene therapy strategy for Maddi’s life threatening illness. Spastic Paraplegia Type 15:SPG-15: Spastic paraplegia Type 15 is a very rare type of motor neuron disease. SPG-15 is classified as a complex hereditary spastic paraplegia because it can cause paralysis of all four limbs, mental retardation, dysarthria, retina degeneration, distal amyothropy, as well as, juvenile Parkinson’s. In addition to the muscles and brain, SPG-15 affects the peripheral nervous system, which consists of nerves, that connect the brain and spinal cord to muscles and sensory cells. SPG-15 is so rare that no one else in the UK has the disorder. It, also, appears that there are less than 20 people across the globe with the condition. Onset of the condition, usually, becomes apparent in childhood or adolescence with the development of weak muscle tone or hypotonia, difficulty walking or intellectual disability. Maddi’s symptoms first started when her ankle collapsed when she was 13. It was during this period that she began to develop a limp, too. Her muscle tone began deteriorating and an array of other symptoms, including, severe pain. Worried sick about her symptoms the family took her to lots of different specialists. Maddi has had to endure an array of tests along the way, such as, scans, blood work and a lumber puncture. In 2016, Ms Thurgood was called in to Great Ormond Street Hospital without Maddi where she was initially told that Maddi had Krabbes disorder a life threatening illness, which would require a bone marrow transplant. Seeking a second opinion, Ms Thurgood took Maddi to the US to the Children’s Hospital of Pittsburgh of UPOMC, a world leading centre of excellence in the study of genetic disorders in children. It was here that they received the life changing news that Maddi didn’t have Krabbe; she actually had a much rarer condition called SPG-15. “SPG-15 is the rarest form of a rare disease. It’s shocking we have never ever met another family with the same disease. Having to watch your child suffering is one thing, but when you know there is no treatment, no cure and you see changes, that are slowly happening each day is incredibly stressful.'' says Ms Thurgood. ''If your child is the only one you feel incredibly isolated and completely on your own. Like so many families with a child, that has a rare disease, everything is family driven; fighting to make progress. I believe that something can be done and that Maddi can have a future and that things can be reversed. 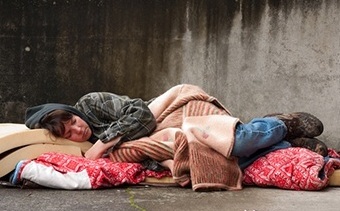 But we’re not fully funded and need urgent help.” she said. Maddi can no longer walk normally and can only stand for very short periods. When Maddi was first diagnosed one of hardest things about her condition was that it meant she could no longer continue one of her favourite activities, ice skating. She, also, had to give up drama, because movement had become too painful. Just walking around the house requires a cane and if she was to go to the shopping centre, she needs to use her wheelchair. Everyday her mother encourages her to keep exercising and keep her muscles going. Maddi has a physical trainer, who works with the muscle groups, that are getting weaker, but the disease is stronger than her training. Her legs get extremely painful and it makes her exhausted and so she misses out on a lot of school. Despite her ordeal Maddi is not frightened about anything and she only cries when she falls over. Maddi has been amazing through all of this and she tries to get on with it as much as she can. Obviously, there are days when it gets her down, but overall she never complains or gives out. She’s always happy to go to fundraisers and talk to people and is so thankful for everything everyone has done for her so far. SPG-15 and other rare diseases, that only affect a handful of people are often referred to as ‘orphan diseases’. No pharmaceutical company is working on treatments and neither is the government, which is why Ms Carina Thurgood, Maddi’s mother is having to pound pavements to find a treatment, that can save Maddi. Ms Thurgood is constantly online researching doctors and scientists, who have published medical research papers on SPG-15, but as yet no cure has been found. There is very little known about the condition, which is why Maddi’s mother and family have sought opinions and information from specialists in Spastic Paraplegia Type-15 from all over the world. Maddi had been put on a short trial of levodopa for Parkinsons in November 2016 at Michigan Hospital but she had a severe anxiety reaction to this by Christmas and was weaned off the drug. She’s in regular contact with Maddi’s medical team as she attends Great Ormond Street, which is led by Dr Lucinda Carr, a Consultant Paediatric Neurologist and Professor Nick Wood, who is based at UCL, next door to Great Ormond Street. Professor Nick Wood’s chief interests are the genetic variants, which contribute to nervous system function and dysfunction. Professor Mimoun Azzouz at Sheffield Institute of Translational Neuroscience is heading the gene therapy programme. Professor Azzouz and the team at SITRAN is focused on translational neuroscience; the goal of the research is to harness scientific developments emerging from experimental work in the laboratory and translate these insights into an effective gene therapy strategy for Maddi. So far, the Save Our Maddi Appeal has raised £112,000 but another £112,000 must be raised if the University of Sheffield is to continue researching the gene therapy, which could unlock the search to find a cure for Maddi. Following, literally, a worldwide search, it’s a great feeling according to Maddi’s mother to know that there is a team of scientists at Sheffield University, that cares about what’s going on with Maddi and want to help. The Humanion invites all our Readers, please, support Ms Carina Thurgood's desperate fund raising efforts so that the Sheffield Research Team can continue the research and seek and find ways to help her daughter Maddi. And please, tell everyone you know, to help and support this funding initiative for orphan diseases generate hardly any interest from any mainstream 'anyone or anything' to do with pharmacology or pharmaceuticals because, their logic is, who wants to 'do anything' for a few patients in the world; where is the money in it? But these very few patients are humans and they happen to be somebody's child, somebody's mother or father or husband or wife or uncle or aunt or son or, in this case, it is Ms Carina Thurgood's little Maddi, her daughter and their entire family and wider family network, are living a life as if they all have this condition as Maddi. Please, help Maddi's Campaign. ω. || September 11: 2017 || ά. The United Nations The High Commissioner for Human Rights today lashed out at the treatment of the Rohingya in Myanmar, which has led to more than 300,000 people fleeing to Baangladesh in the past three weeks, as security forces and local militia reportedly burn villages and shoot civilians. 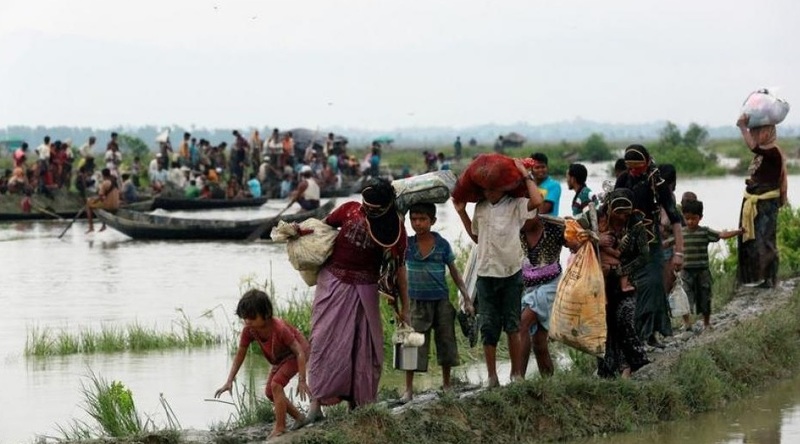 “The situation seems a textbook example of ethnic cleansing.” Mr Zeid Ra‘ad Al-Hussein told the UN Human Rights Council in Geneva, noting that the current situation can not yet be fully assessed since Myanmar has refused access to human rights investigators. The Humanion would like to say that what the Burmese Government is doing is not just ethnic cleansing but a determined, systematic and ruthless genocide of a people, as well as, deliberately declaring and effectively making a stateless people out of the persecuted Rohingya people, who are being scorched out of their homes and as their settlements burn and as they run for their lives they find that they are still being targeted by the Army, setting land mines on their escape paths. BBC has reported from Baangladesh, where scores of wounded were being treated, who appeared to have gunshot wounds and injuries, that can only be caused by land mines. Despite all our shortfalls as the world, as humanity, we still do not live in jungles and, despite having a so-called State Counsellor, who has, once, won the Nobel Peace Prize, the Burmese Government is nothing but a military-dictated, military-run and military-controlled apparatus and in which the supposed State Counsellor appears to have been muted to the point that she is now being used as an 'aesthetic propaganda tool' to launch absolutely laughable and astonishing propaganda as if people do not have eyes and ears. This can not be allowed to go on. The world must not look to the State Counsellor to do anything because she has effectively been 'neutralised' by the Army and she is following that path for her own reasons. This genocide of a people, this ethnic cleansing of a minority population, this forced making of a stateless people out of a valid, lawful and legitimate group of citizens of Burma, these crimes against humanity, are not acceptable and they must not be acceptable and the world, the United Nations, the entire civilised world must act and not wait for these persecuted people to be literally 'wiped' out of existence. What is happening in Burma is the taking over of violent, vicious and contagious hatred and, which has been created, supported and inflamed by the Army for decades for their own interests and are now taken on by the army and the government and being used to pursue their own agenda of self-preservation. Whatever it is, Burma is heading towards 'self-destruction' to which the world, may not, have any say, but the world does have and must have a say as to what they are doing to this persecuted Rohingya people. 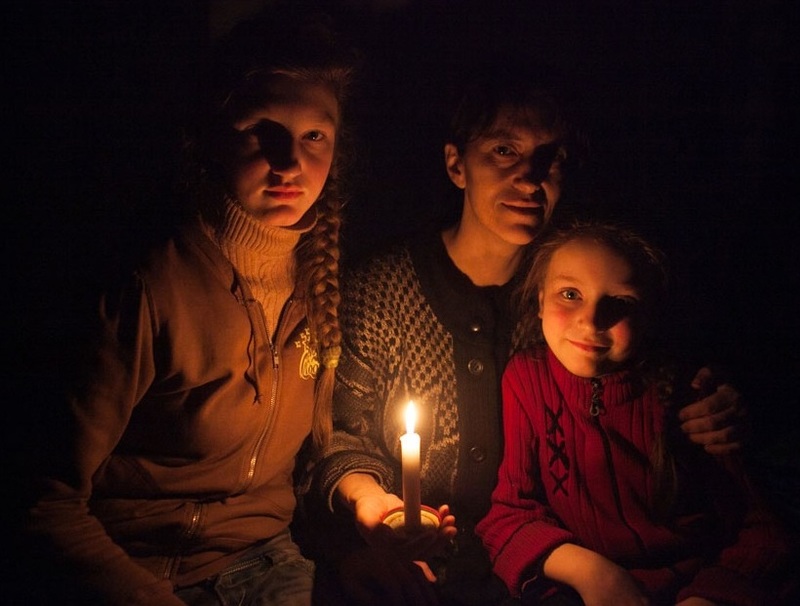 The world must not wait to see another Bosnia take place. The World Must not wait for another Rwanda take place. The time is now to act to stop this genocide. Mr Zeid Ra‘ad Al-Hussein cited reports of Myanmar authorities laying landmines along the border with Baangladesh and requiring returnees to provide 'proof of nationality', an impossibility, given that successive Myanmar governments have since 1962 progressively stripped the Rohingya population of their political and civil rights, including, citizenship rights. The latest security operation in Rakhine state follows attacks by militants on August 25 against 30 police posts. The High Commissioner called the response 'clearly disproportionate' and 'without regard for basic principles of international law' and said the Government should 'stop claiming that the Rohingyas are setting fire to their own homes and laying waste to their own villages'. “This complete denial of reality is doing great damage to the international standing of a Government which, until recently, benefited from immense good will.” he said. 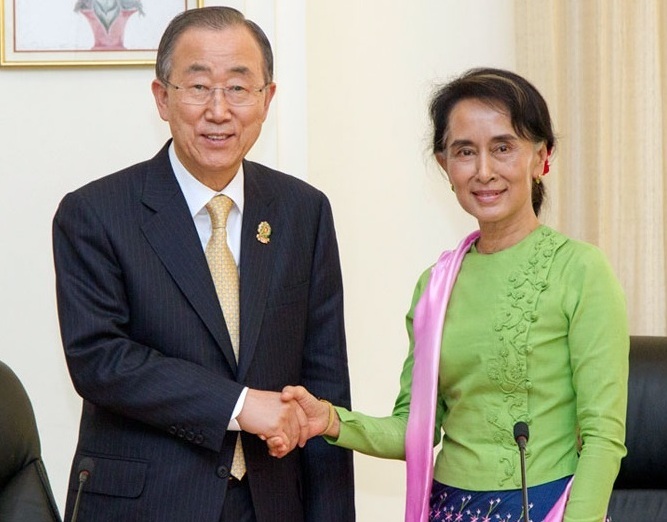 “I call on the Government to end its current cruel military operation, with accountability for all violations, that have occurred and to reverse the pattern of severe and widespread discrimination against the Rohingya population.” He added, called for his Office OHCHR to obtain unfettered access to the country. Last year, Mr. Zeid issued a report warning that the pattern of gross violations of the human rights of the Rohingya suggested a widespread or systematic attack against the community, possibly, amounting to crimes against humanity. In today’s statement, he, also, addressed Baangladeshi authorities, encouraging them to maintain open borders for the refugees and the international community to help support the refugees. Humanitarian agencies in Baangladesh today appealed for $77 million to aid an estimated 300,000 refugees through the end of the year. At the same time, he deplored measures taken by India, which has said it is not a signatory to the Refugee Convention and can deport Rohingyas. || December 08: 2016: London: England: United Kingdom || ά. From now on, The Humanion will declare The Humanity of the Year in every December, on the eight, every year. This is simply based on The Humanion's Editorial Judgment and Opinion after following the year. No one is consulted about this nor the person:s themselves informed of their becoming declared as such. They will know as The Humanion Readers that they have been declared as such. This is The Humanion's effort, initiative to make a Statement to say and show that power, market, money, wealth, manipulation and propaganda cannot dictate, define and impose what is to be celebrated or what is good. Our Seven Joint Humanity of the Year 2016 are persons, human beings, remarkable for their services to humanity, in their relevant field and arena of work and who have shown courage, strength, determination, resolute conviction and faith in seeking to rise to the challenge without losing any ground in relation to their faith, belief and choice in goodness that is the essence of what humanity is about and in doing the good, in seeking to do good, they seek to do, despite and regardless of the adversity they face, the criticism, the attacks and vilifications, the sustained and continuous abuses thrown on their paths, to most of them, and the barriers and obstacles they needed to overcome, they have shown the undefeatable human spirit, essence, steel so that these all stand out as beacons to the world: to encourage, to inspire, to empower, to connect and to bring together that what humanity is; without goodness that does not exist and without it there is no humanity for than we are only physiology of nothing but biology. 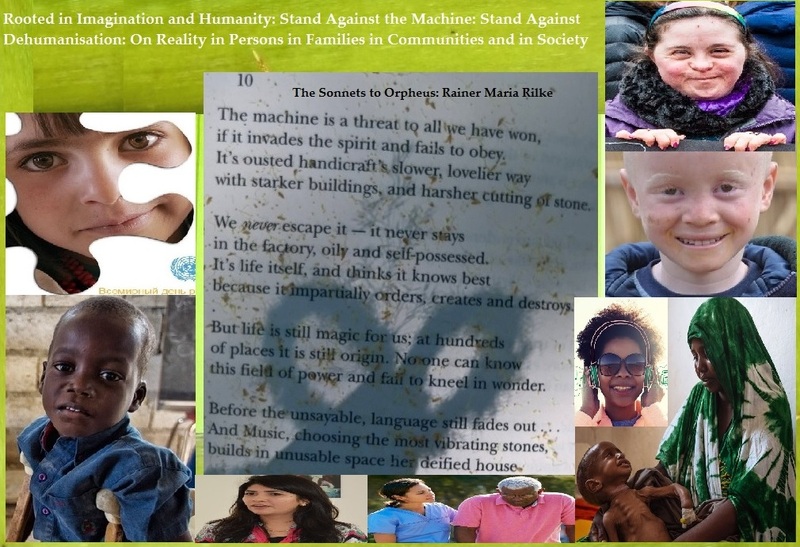 And what do the Seven of our Humanity of the Year 2016 Get: These Two Sonnets that they may read to themselves when they have a minute to themselves and keep going... for the road is long and hard for the walk and work is even harder....but the joy of seeking, doing and being good is the ultimate accolade of this human existence. And tell the world, tell everyone and say: Let there be light: The Humanion Team: ω.